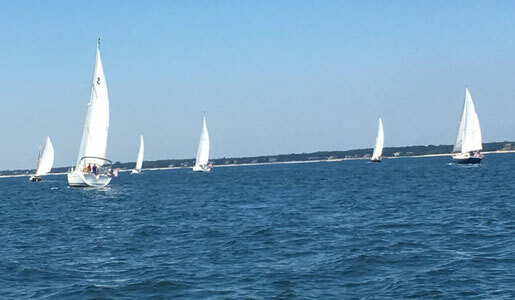 The 2019 Second Annual “Ernst W. Dutton Memorial Sailboat Race” will be held on Sunday September 8, 2019, at 1 pm. 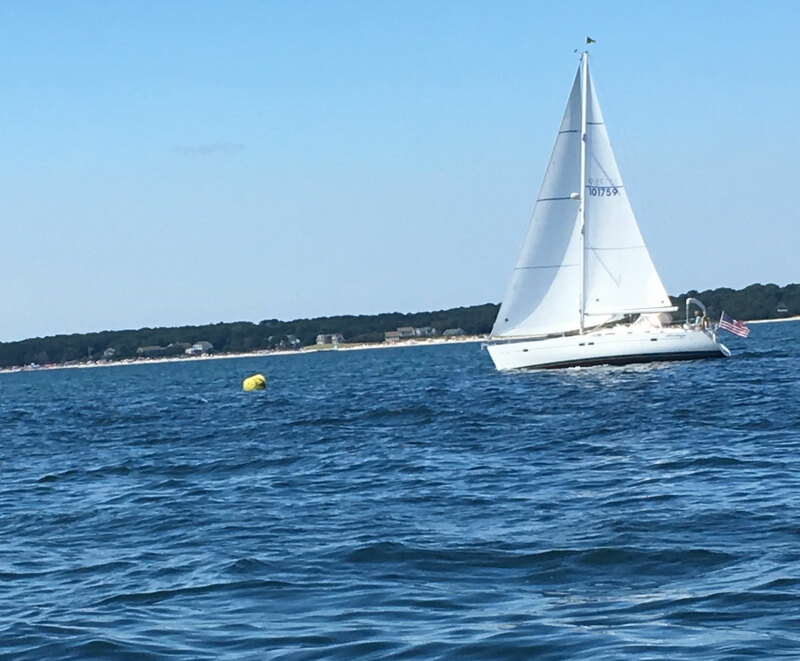 Monomoy Yacht Club held its first “Ernst W. Dutton Memorial Sailboat Race” on Sunday September 9th, 2018. The race is named in honor of Ernst W. Dutton, founding Commodore of the Monomoy Yacht Club, 1937 -1958. We are inviting all sailboats on the Cape to join us in this memorial race. All races start at 1 pm at the Stage Harbor (SH) buoy, just off Harding’s Beach. The races are typically 5 miles long lasting about one hour. 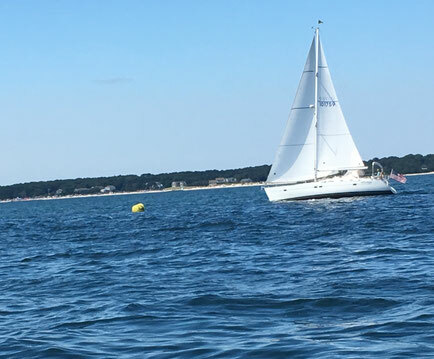 If you do not have a PHRF rating, an estimated rating will be assigned before the race. Frank Messina ( ) or Steve Kubik ( ), or Rick Reed ( ). Monomoy Yacht Club (MYC), founded in 1937, maintains facilities at 80 Bridge Street, on Stage Harbor in Chatham. 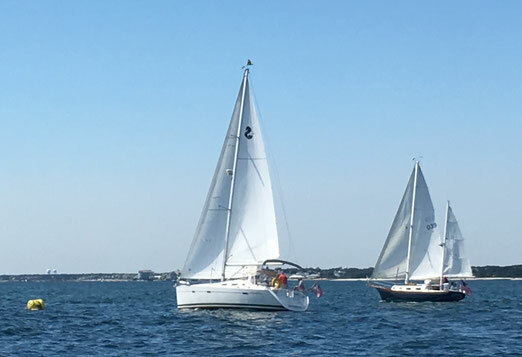 For the last five years, after a long absence, MYC has reestablished a large sailboat racing program in cooperation with Drew Meincke of Stage Harbor Marine. 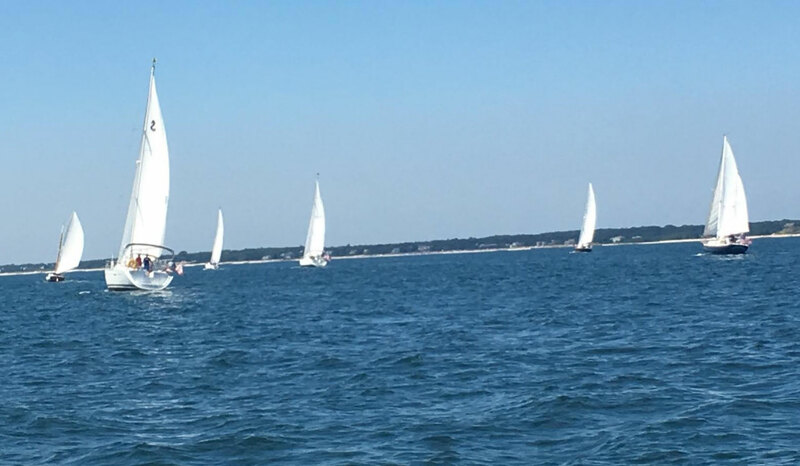 Our races are held on Nantucket Sound on Sunday afternoons. These are very informal races, where the emphasis is on having fun; all skill levels are welcome. For example, past participants have included veterans of the Newport to Bermuda, the Figawi, other Cape wide races, as well as a crew made up entirely of students who had never sailed before, and whose captain had invited them aboard to introduce them to the world of sailing. The racing program has grown, not only in the number of boats participating, but also in the number of MYC members who have had the opportunity to crew on racing boats and duty on the committee boat. In addition, several boats from other yacht clubs and Saquatucket harbor have joined us on Sunday afternoon to race.